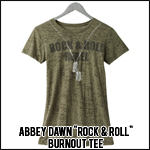 Here are some new Abbey Dawn tshirts, finally!! I'm not too keen on the army collection that this seems to be. Thanks Avrilspirit! Here's also a new Proactiv commercial for Japan, that is a little different. Avril and Brody were out again in Los Angeles on Sunday, this time at Red Rock Bar, and they were joined by Brody's mom who seemed very comfortable with Av. Hmmm having nights out with the mother? Sounds serious to me... Even though we don't see them doing anything couplely (no holding hands, kissing, hugging, etc) we can still assume it's a friendship, but Avril looks happy, and I am happy for her. Thanks to Avrilsmusic. Avril and Brody were out in Los Angeles on Saturday. We can also have a great view of her 2 new tattoos! GOOD NEWS! The "D" tattoo is still there! She got a music note right under it on her right wrist (which was done on Deryck's birthday on March 21), and a "30" on her left wrist. I'm assuming the "30" was to commemorate Deryck's birthday, at least I can't think of another reason lol. Thanks to Avrilsmusic. Avril-Media.com has posted an amazing, exclusive, never before seen 1 hour making of the "Complicated" music video! It has TONS of footage as well as short interviews with Avril, the band and her sister. Oh, and "Complicated" plays ten thousand times haha. It's a really big file, so download here, and you have to be a member of that site to download (it's free to sign up). Just wanted to tell everyone to NOT believe what Bandaids posted about the album being delayed until July/August. This was an April fools joke (not funny to me) and it is still slated for a June release with the new single to come out in the coming weeks! Of course these dates can still change, but until there is an official source, then June is still the month. 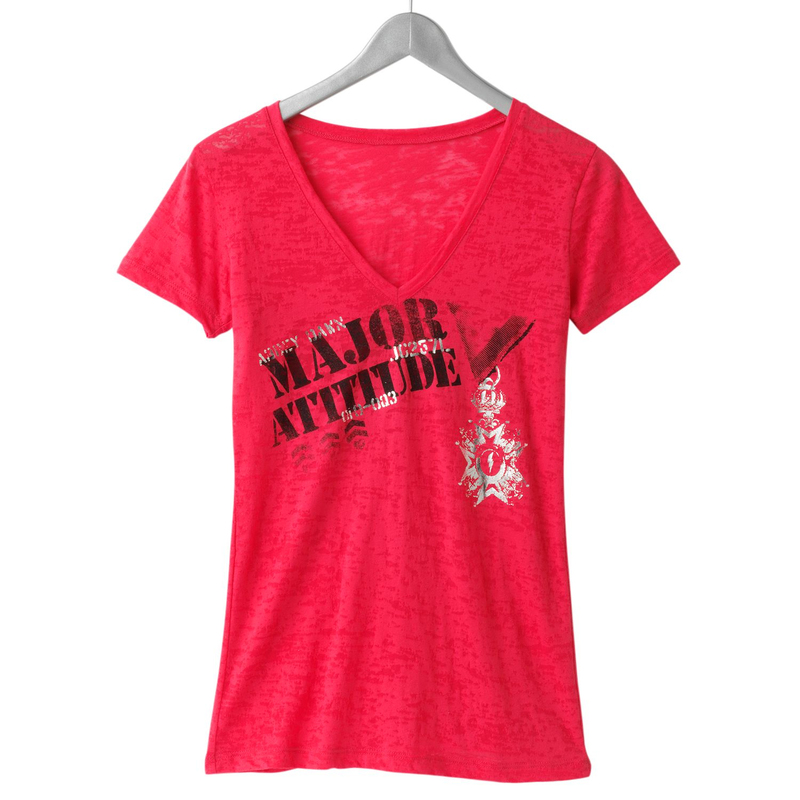 You never know, but I think she's just sticking with the Juniors and Kids line. She's had O Holy Night, but I would love to hear some more songs too! Anything sung by Avril is a good thing. Sum41 posted a video on their Youtube channel with footage from Deryck's 30th birthday, and there is a brief part where we see the tattoo that Avril and him got... they both filled in the hearts (like Avril's D and his A) and got a music note. We don't know if Avril did the same thing since shes not in the video and it still is really hard to tell, but that's what we can assume. It's sad that they changed them, but its good that they did it together. There are rumors as well that Av and Brody got tattoos together, but that's just a rumor for now. AvriL and Deryck were out with friends in Hollywood last night at Crown Bar Thanks to Avrilsmusic. [EDIT] "The Best Damn Thing" was performed on Dancing with the Stars by Olympic gold medalist Evan Lysecek and his partner... the dance worked really well with the song! [EDIT #2] Happy Birthday Lil Lindsey! LOS ANGELES � The hopeful, romantic buzz around Canadian rockers Avril Lavigne and Deryck Whibley has been they’re putting their divorce on hold and getting back together. The Ground Zero reason for the gossip is this: Lavigne had a jealous fit when she bumped into one of Whibley’s girlfriends, Hanna Beth Merjos, in a Hollywood nightclub back in February. But one jealous rage does not a rekindled romance make. Since February’s blowout, they’ve also started hanging publicly again, which started the get-together rumours. Once again, this pretty "Forbidden Rose" themed layout is made by Natalie. Hope you like! 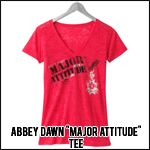 I apologize for not updating the interact, Abbey Dawn, and especially the newest videos. My final year of University is winding down so naturally all professors like to give out the most work now. I'm trying my best to update, but all of the videos will be added in the next few weeks. Has anyone else noticed that there haven't been any new AD items since the Alice in Wonderland collection? Maybe Avril is concentrating more on her music! Avril, Deryck, and friends were at Tattoo Mania and Madeo in Hollywood last night celebrating Deryck's 30th birthday! Looks like they had a great time. Apparently they both got new tattoos and Avril got an outlline of a musical note. Thanks to Avrilsmusic. Here are 2 videos as well. New layout coming later this week! Here's another interview with Avril about "Alice". Remember, Avril did about 60 of these interviews that day, so there might be a lot more coming out soon! Avril posted a blog about the Race to Erase MS.
Join Avril to Erase MS! I am so happy to let you know about an amazing charity that I have been involved with for quite some time now called the Nancy Davis Foundation for Multiple Sclerosis. Last year I attended their annual fundraiser and this year I joined the Board of Directors. Multiple Sclerosis is a devastating disease that primarily affects young women and I want to help raise awareness and find a cure! I will be performing at the 17th Annual Race to Erase MS event on May 7, 2010. Please check out their webpage, donate if you can, and fan them on Facebook @Nancy Davis Foundation!